We arrived at Milford Sound in time for one of the boat tours. Given the enormous number of tourists that in the high season visit the sound, there are several companies with equally enormous multiple-deck boats offering 1-2 hours tours. This has been criticized by environmental associations, for the impact that the motorized cruise traffic may have on the fragile ecosystem of the sound. In the February of 2004 a spill of 13,000 liters of diesel fuel was found in the water. The spill was apparently intentional, caused by inserting a high pressure hose in the tank of a boat, and forcing the fuel to come out. While there was no appreciable damage to the wildlife, the spill interrupted the touristic activities for two days, while the waters were cleaned. The authorities claimed that this was an act of eco-terrorism to protest the excessive number of tourists in the sound. Given that, we chose for our own tour one of the smallest boats available (still large, but not huge). In the end it wasn’t a particular good choice because the captain of the boat was more interested in showing the “postcard like” views of the sound, than the wildlife (the sound has a resident population of seals, penguins and dolphins, and we saw none). Still better than some of the humongous boats. 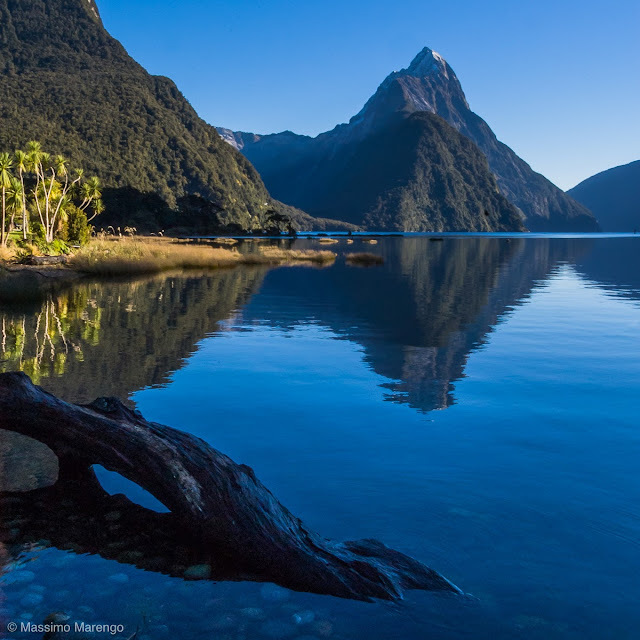 The sound (which is actually a fiord), is in any case really gorgeous, with the spectacular mountains emerging directly from the sea (among which the iconic Mitre Peak). 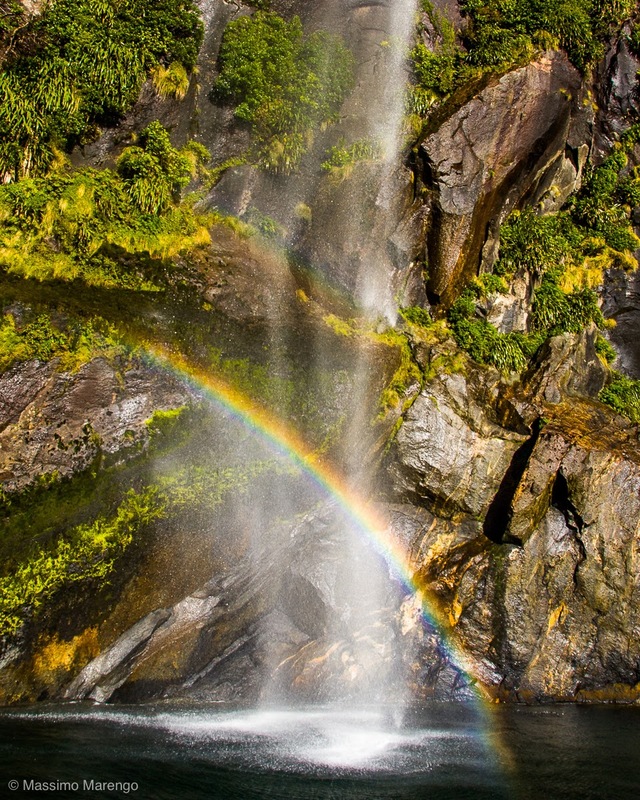 These mountains fall very steep straight to the water, with a lot of exposed rock and little vegetation, so all rain ad snow water flow directly into the sea in a multitude of spectacular waterfalls, like the “rainbow fall” in the image on the left.